We talked briefly about BBC News Labs at the Online Briefing, as part of BBC Connected Studio’s segment. Fiona Bruce was presenting the session, and I outlined our plans and approach. See video at 24:30: BBC Online Briefing 2013 – Connected Studio Video. 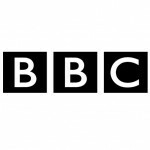 I am very pleased to be starting as the Delivery Manager for BBC News Online. This will include managing the Agile Portfolio of workstream Project Managers for BBC News Website and mobile apps. It will also include managing the developer and test team. Yesterday we visited the set of Springwatch, at a secret location out in the west of England.